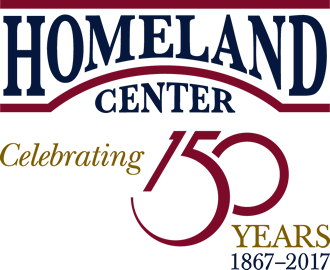 Homeland Center has served thousands of individuals and families since opening its doors in 1867, and today 145 residents call it home. To provide an exceptional level of rehabilitation therapies, Homeland Center partners with Genesis Rehab Services (GRS). At Homeland Hospice, our entire staff is committed to a model of care focused on providing comfort, relieving pain and offering support - including spiritual and bereavement counseling - for persons with life-limiting health conditions and their families. At Homeland, our skilled caregivers provide personalized, compassionate care in the convenience of your own home. Whether you need assistance with light housekeeping, simple home maintenance, errands or if your health has changed and you need help with personal care, medication reminders or are now under a physician-ordered plan of care, Homeland can help. 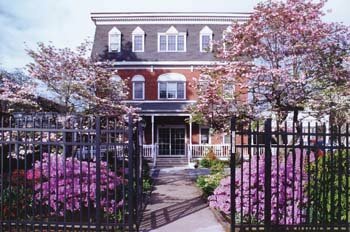 In 2009, Homeland Hospice began operations as a community outreach program of Homeland Center, offering comprehensive hospice services in the Central Pennsylvania region. Hospice services are offered in the setting the patient calls "home", which includes residents at Homeland Center and other personal care, assisted living and nursing home locations. Services are available to patients and families in Adams, Cumberland, Dauphin, Franklin, Fulton, Juniata, Lancaster, Lebanon, Northumberland, Perry, Schuylkill, Snyder and York counties. Click on the link to learn more about Homeland Hospice. In 2016, Homeland Center will begin offering HomeCare and HomeHealth Services.